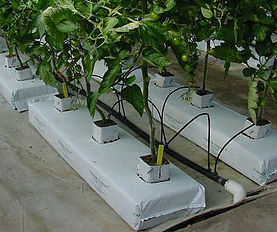 Our Coco Peat Grow Bags are manufactured using top-grade coconut husks, which works as a great soil for plants. We produce the entire range of products by making use of quality-approved raw materials sourced from the trusted vendors present in the market. Also, the inputs are cross checked by our quality experts. To handle both automated inbound and outbound orders, we have exceptional warehousing solutions. We keep the wide array of products sorted in the warehouse to make sure that the delivery commences systematically.